What Jaguars do we stock? At Simply Performance we have been supplying these kits for nearly 15 years. The simple kit allows you to fit the manual 5 speed getrag gearbox to the V12 engines. It can be fitted across a range of platforms including the late 6 litre V12s. It is easy to fit and uses all Jaguar parts. We have had over 200 successful conversions into cars from early V12 E-types to late X300 bodied XJ12s. The kit is reliable and robust with several strong reviews within the Jaguar Enthusiast Club and community. Would you like to read more? Have a look at our V12 5 speed conversion page for more details. These conversions are designed for the V8 supercharged X308 and XJRs. They are also adaptable to later V8 supercharged models. These have been machined in high quality aluminium by precision engineers. 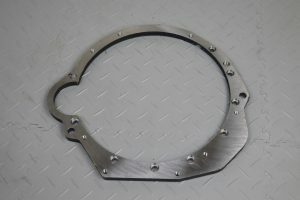 The kit is supplied with a larger supercharger belt. This conversion completely transforms the sluggish unresponsive V8. We are adamant that these V8s have turbo lag, not possible you would think with a supercharger, the car doesn’t come on boost until well into the rev range. The conversion wakes up the V8, making it instantly more responsive where you can really hear the supercharger working, giving it a much sportier feel. 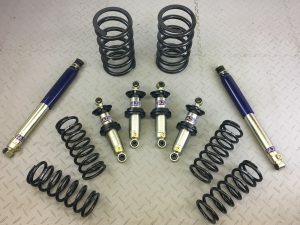 This suspension package has been finely tuned and developed by a reputable Jaguar race preparation and restoration company. They combine high quality shock absorbers, supplied by GAZ, along with springs that have been developed on the track ensuring the most can be achieved from the suspension and your car. The springs are produced by Eibach and in conjunction with GAZ they offer a superb quality and finely tuned package. The shocks are zinc plated and are bump and rebound adjustable through a knob on the side of the shock. The rear shocks are platform adjust, meaning the height can be adjusted for your application. The shocks are individually tested by GAZ to ensure a high quality. The springs are finished in a thick enamel coating. They are produced by Eibach and are a very high quality. There is a choice of road springs and fast road and track. 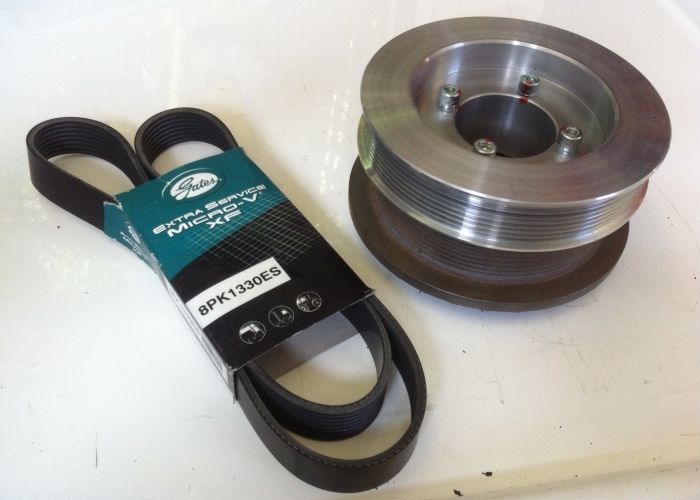 The road springs would resemble similarities to Aston Martins, where as the fast road and track are visibly more heavy duty, although they could look overkill they balance the car very well and are still good for normal road use. The front springs are adjusted with packer spacers where as the rears are adjusted on the shocks. Together they make a great combination that transforms the XJS and XJ models. The XJS and XJ’s are renown for there wallowy suspension and loose feel but, with this suspension package it allows you to adjust it for your driving style. The market lacks options with suspension packages but this one is certainly a high quality and premium package. These are newly manufactured Stainless Steel centre box replacement pipes. 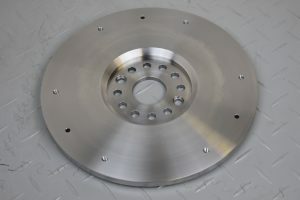 These can be fitted across a range of V12 models and platforms. Mainly designed for the pre-cat XJS 5.3 V12 but can easily be adapted to other models. They are one of our more basic upgrades that offer a noticeable change. The centre boxes were designed by Jaguar as a reverse flow box for the American market, this quietens the tone of the V12 engine and saps all power. They are highly restrictive to the engines, giving the engine no room to breathe. These are one of our more favoured modifications. An all stainless steel rear box that can be fitted within our full stainless system or your original Jaguar system. Our exhaust box livens up the sound and the performance from the car. 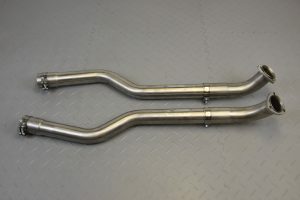 We also make new oversize stainless steel exhaust tips to give the car a slightly tuned look without deterring too far from the original design. These Large Bore XJ V12 Throttle bodes are a great performance upgrade to really give the car more responsive feel. They have been upgraded to a 71mm (ID) from the existing 63mm. This upgrade is subtle enough to utilise the existing fuel mapping while still offering a noticeable performance difference. These work incredibly well alongside the centre box replacement pipes. They give the engine much more breathing space without changing the Jaguar characteristics. We have built several Lister replicas from standard coupe XJS’s. We have complete kits including the badging, body kits and boot plinth scripts. The body kits consist of a front and rear bumper, side skirts and mirror covers. 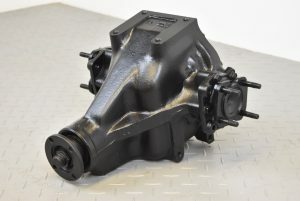 The kits are molded to a high standard and are also adaptable to wide bodied XJs. We have built the wide bodied XJs and have several methods and customers who have done so successfully. We often have widebodied XJs in stock from which measurements can be taken. We mainly specialise in the differentials fitted the XJS’s, XJ6 series 3 and e-types. Generally throughout these models they are interchangeable, however, it is possible to modify other Jaguar diffs. These are one of the more substantial modifications that can be done to the drivetrain. For best results we recommend this is used with one of our other performance conversion. 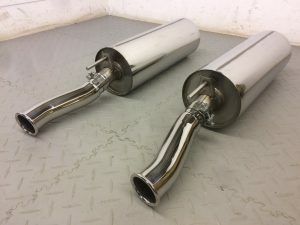 Utilising the spare parts at Simply Performance, together we can build diffs to a variety of specifications with ratios as high as 4.07 to 2.88s. When the diffs are built, they have an overhaul with any damaged bearings replaced. Peter is highly experienced with over 25 years in the Jaguar industry.